Lemonade : A chilled refreshing drink for everyday, a must esp during the summer time. Slurp..
Mint Sprigs - 2 nos. ** we need 1/2 cup of lemon juice , so use many lemons to get the 1/2 cup of filtered juice. Add the sugar, salt and 1/2 cup water in a sauce pan and heat in a low flame until the sugar dissolves completely. This is nothing but simple syrup. Add the filtered lemon juice, simple syrup in a pitcher / juice can and mix thoroughly. Now add the cold water , mix again. Refrigerate until it is served. 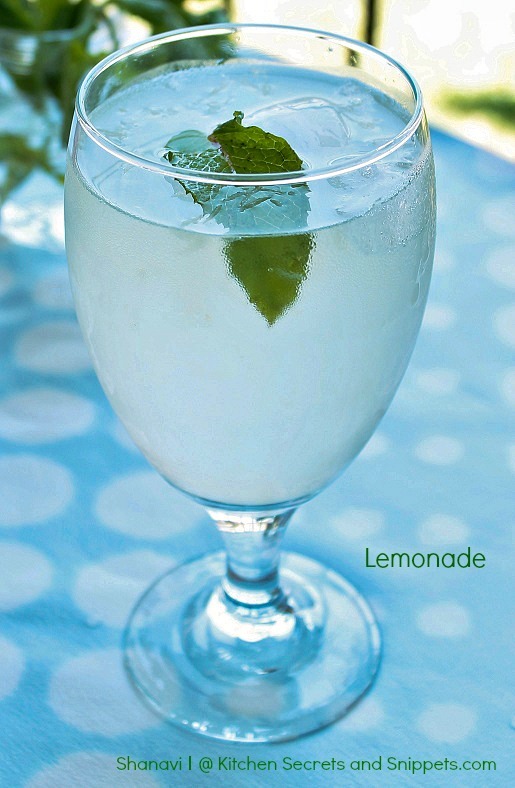 Pour the chilled lemonade in a tall glass, add ice, mint sprigs, lemon wedges and serve. 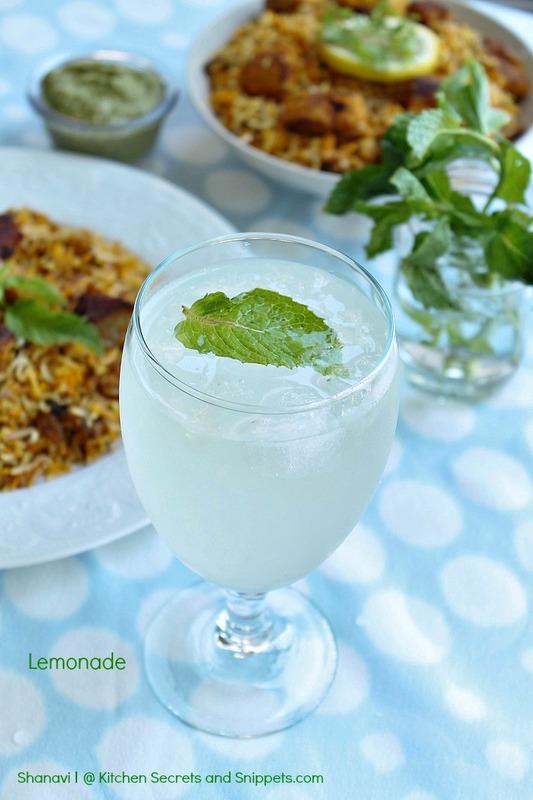 Linking this simple lemonade to Nayna's Let's cook with Citrus Fruits event. Check out her event page as well as her space for some exciting recipe.. Very very refreshing and perfect for this weather. This looks wonderful , perfect to beat the heat,awesome click.It would be lovely if you link it to Lets cook with citrus fruits event at simply.food. Thankyou for linking this lovely recipe post to lets cook with citrus fruits.Please can you add the event link to your post.